You can now test it early, as there are three iOS 12 release dates: one for developers, one for public beta testers, and one final version coming soon for everyone else. The developer beta is available now and gets more frequent refreshes. But it's early software and you must be a registered Apple developer. That costs money: $99 for the annual membership. It's for people who like to tinker with software weekly, and so far Apple is on iOS 12 developer beta 11. The iOS 12 public beta is the one most people will want to test out, and it's also now available to download. It launched on June 25 and is completely free. It's also likely to be less problematic than the developer beta. Expect more stable updates every two to three weeks. The downside? Apple's public betas are always one step behind what the developers have access to. Both versions of the iOS 12 beta will be unfinished software, so we advise you to proceed with caution before deciding to install iOS 12 beta on your primary device. For example, the iOS 12 beta 1 was great for us, but we had minor reset problems with iOS 12 beta 2. Waiting for the final iOS 12 version is a safer choice if you rely on your iPhone daily. 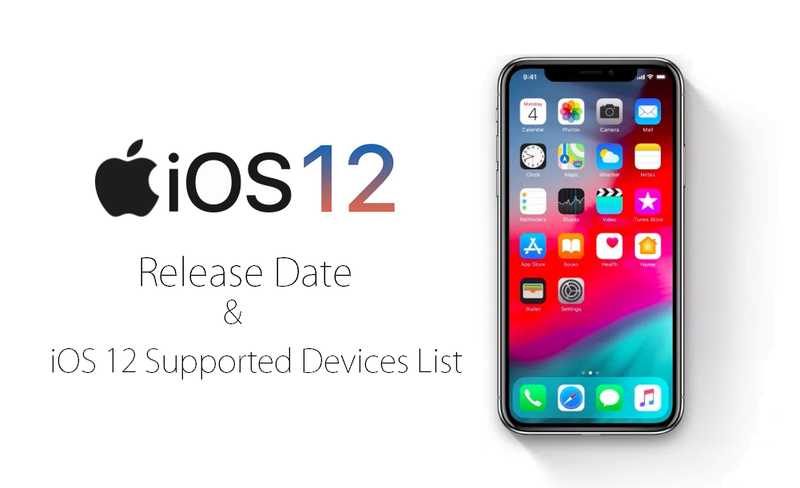 The release date for a stable iOS 12 version should be in mid-September, alongside new iPhones XS and iPhone XS Plus. No guarantees, but that's how it seems to work every year. History has told us that it's the Tuesday after the iPhone 9 and iPhone XS launch event, so on or around September 18 seems likely. iOS 12 will run on all devices that have its 64-bit chipset, which was first introduced in 2013. It'll work on the iPhone 5S and newer, while the iPad Air and iPad mini 2 are the oldest iPads that are compatible with iOS 12. That's means this update is supporting 11 different iPhones, 10 different iPads and the sole iPod touch 6th generation still clinging to life. It’s the broadest support for a software update Apple has ever offered, and this is one of the biggest advantages Apple has over Android phones.